The CW has released the trailer for cancer dramedy Life Sentence and in it, we see that sometimes people only start to live when there’s nothing left to lose. 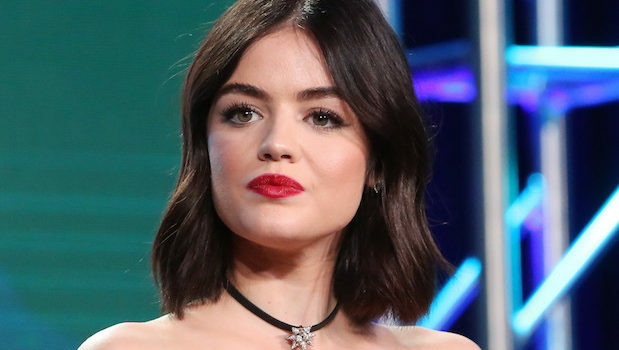 From Richard Keith and Erin Cardillo (Significant Mother), Life Sentence follows Stella (Lucy Hale), a young woman who seemingly had her entire life ahead of her – that is, until she was diagnosed with terminal cancer. Instead of laying down and waiting for the cancer to take her, Stella decides to make the type of decisions she was always afraid of and get the most out of life while she still had it. That was all well and good, though, until she finds out that she’s not dying after all and has to face the fallout from her fearlessness. In addition to Hale, Life Sentence stars Dylan Walsh (Unforgettable), Gillian Vigman (The Hangover), Brooke Lyons (2 Broke Girls), and Carlos PenaVega (Big Time Rush). Life Sentence is set to air midseason on The CW. You can check out the network’s full fall schedule here. Will you be watching? Do you think the show will succeed where fellow carpe diem dramedy No Tomorrow didn’t? How will The CW’s scheduling impact the show’s performance?